GIRL! I cannot believe my gut instinct was right! Since I got pregnant I have had a feeling that this one was a girl, which had me convinced that it was most definitely a boy. But OH.MY.GOODNESS! 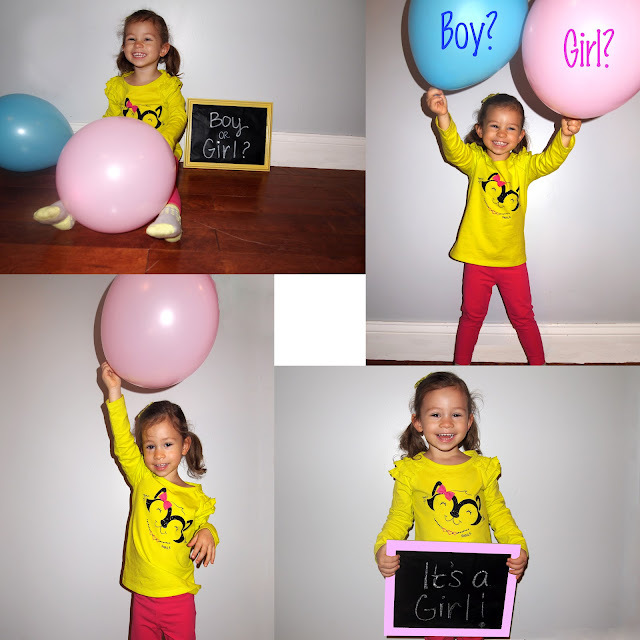 All I know is that I am glad I didn't have to break the news to a certain little girl that she was getting a brother. I didn't want Hokey Pokey Elmo thrown at my face. Quinn is VERY excited. She now calls the baby by her name and says "sister!" I never had a sister growing up and I am sure my mother thanks the good Lord because I can only imagine me and Tessa having all those extra years together would have certainly driven my mom to drugs. I am So.Excited to have 2 girls and have them grow up with such an amazing daddy. Anth is just too good with women and obviously just needs to be surrounded by them :) I can only hope that this one comes out exactly like Quinn. I cannot wait to meet you little girl. You are so, so loved already. Love the name! :) Congrats! Yay! Congrats! Love the name too! I hope we get another little girl eventually since we have a boy and girl now...i never has a sis either and would love Sofia to have one! Awww Congratulations!! I said if I ever had twin girls I'd name them Harper and Halle!! Love it! You are my sister and I love you! I can not wait to spoil little Harper! Yay! Congratulations! I cant wait to see you with two girls, I wouldnt change it for the world! So exciting!! I happen to think two girls are the best. ;) I love the name too. Congrats again!! AW!!!! So exciting. 2 sisters- they will be the best of friends! And Harper is just too adorable!